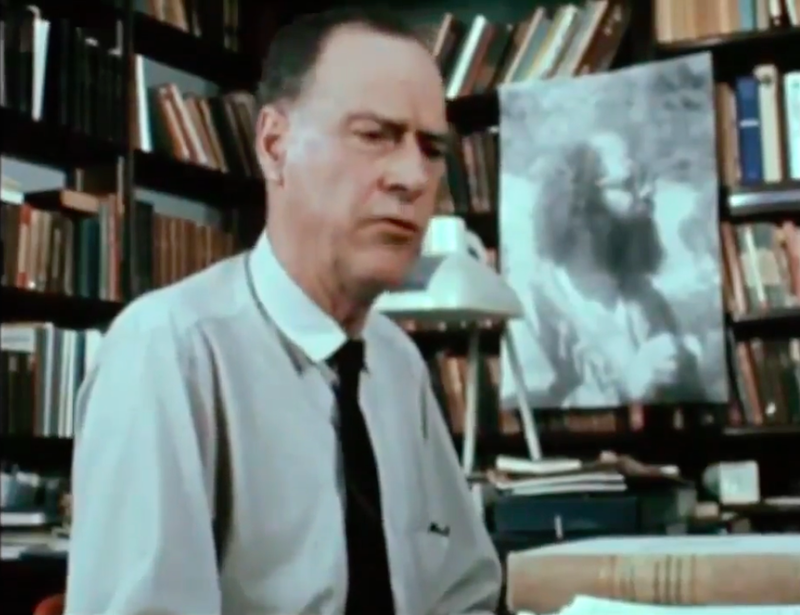 The photos above show Marshall McLuhan in his office at St. Michael’s College (1964), taken from the CBC documentary “McLuhan is the Message” (see video below). May 26 and 27, from 10 a.m. to 5 p.m. The 19th annual Doors Open Toronto presented by Great Gulf provides an opportunity to see inside more than 130 of the most architecturally, historically, culturally and socially significant buildings across the city. This year’s theme, “Film: The Great Romance” explores the city’s film and television industry. 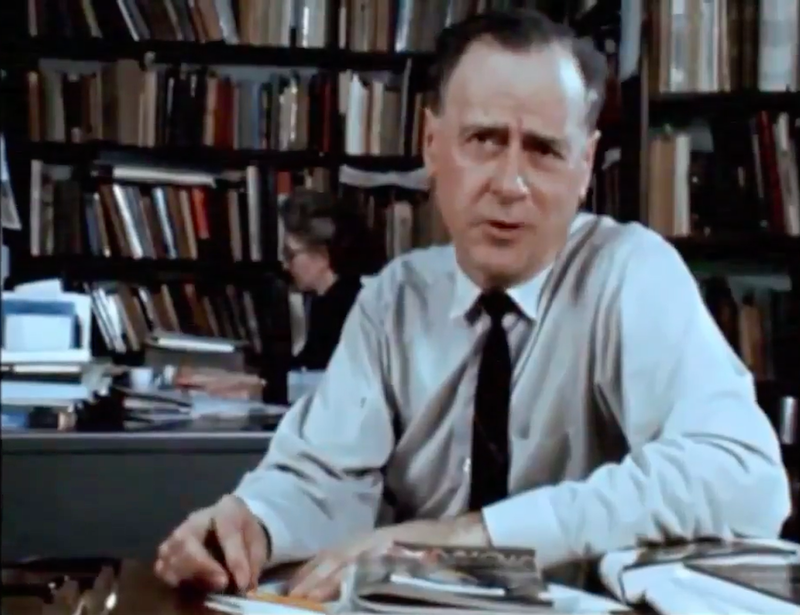 For the first time since decades, Marshall McLuhan’s original, restored office at St. Michael’s College will be open to public (free admission). St. Michael’s College featured sites for the weekend include also St. Basil’s Church, the Shook Common Room, the Kelly Library and the PIMS Library, one of the most substantial centres of medieval scholarship in North America. On both Saturday and Sunday at 1:00 p.m., Professor Paolo Granata will present a lecture to the public titled “A Playful Mind: Exploring the Genius of Marshall McLuhan.” The lecture will take a place in Fr. Madden Hall, Carr Hall, located at 100 St. Joseph Street. Throughout the Doors Open weekend, there will be food, refreshments and St. Michael’s clothing available for purchase. 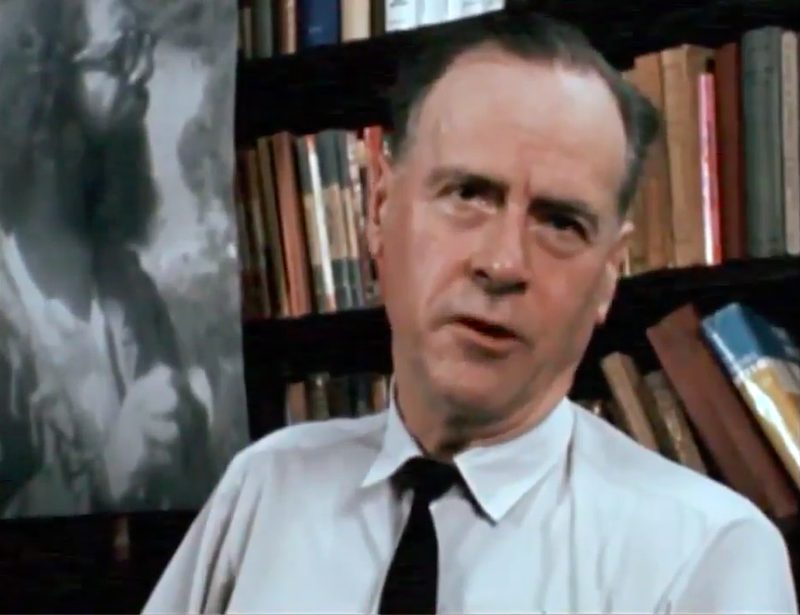 In the spring of 1946, Marshall McLuhan received an offer to teach at St. Michael’s College in the University of Toronto. From that time on, he would spend the rest of his life living and teaching in Toronto. McLuhan’s office was located in a Victorian House on the St. Michael’s campus, with unvarnished wooden floors that creaked and a door leading to the street on which McLuhan, ever sensitive to noise, hung a sign that read “slam gently”. According to his biographer Philip Marchand, McLuhan claimed this oxymoron communicated its message very effectively. Into this office, McLuhan piled his six or seven thousand books and a shabby chaise longue with a thin green mattress for his five or six daily naps. On the walls, he placed a crucifix, oddities such as a death mask of Keats, and his personal talisman, the oar he won from rowing at Cambridge University.